Our Fronteer Spotlight series highlights our team culture, the work we do, and what inspires us every day. Interested in joining us? Check out the openings on our jobs page. We’re excited to welcome Jenny Decker to the Front team as our Chief Financial Officer. 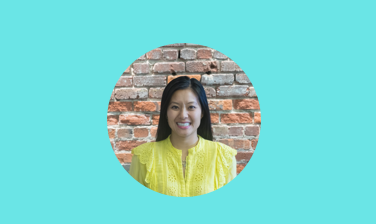 Jenny joins us from Atlassian, a collaboration software company with products including Jira Software, Confluence, and Bitbucket, where she led the Corporate FP&A team. During her time there, Atlassian had one of the most successful IPOs in 2015 (going from a market cap of $4B at IPO to $26B when she left), grew from $150M of revenue to $1BN+, acquired Trello, OpsGenie, and StatusPage, raised $1B of convertible debt, opened offices in Austin, Mountain View, and India and completed a migration from their own data centers to AWS. Front: Hey Jenny! Tell us a little about yourself. Jenny: I am the middle child of five kids in my family. There is only a seven year difference between my oldest sister and my youngest brother. Now THAT builds character and grit! I grew up in Seattle (Bellevue technically). I lived in NYC and Boston in my early career and loved exploring the wildly different East Coast, but I am here to stay in SF. What excites you about this opportunity at Front? J: I have been a hard-core Lotus Notes, Microsoft Outlook, and Gmail user. Changing email clients is hard. But now that I have switched to Front, I believe in the “holy grail” of our product. I truly believe anybody who uses the forward button can benefit from Front. I’m excited to help build something that has the potential to make every person that uses email at work more efficient and hopefully more fulfilled too. What was your favorite part about your previous role at Atlassian? J: Finance was a trusted partner at Atlassian. Every product (JIRA, Confluence, etc.) and every functional group (Support, Sales, Marketing, IT, etc.) had a finance leader on their leadership team. Forecasts and budgets were table stakes; challenging the business to think quantitatively and strategically was the goal. I loved learning from my finance counterparts there, so that’s something I’m looking forward to building at Front as well. What inspired you to pursue a career in finance? J: I chose this path for many reasons! B) I enjoy the high-level, holistic view financial statements provide. The financial plan should simply be the numerical representation of strategy. C) Deeply understanding financial statements allows me to evaluate the performance of companies by examining the same metrics across all companies. D) Finance is relevant to all parts of the organization. It gives me an “in” to talk to Engineering, Design, Product, Sales, Support, Tax, Accounting, Legal, etc. E) It’s a skillset that is transferable to all industries. What’s your first impression of the culture at Front so far? J: Front is full of world-class people who are generous with their time. Fronteers are willing to go above and beyond for the company and for other Fronteers. I’m amazed how quickly people jump in to help others regardless of how busy he or she is. I hope we never lose that. Paint us a picture of your ideal Saturday. J: Sleep in! Then I’ll take a run to Ocean Beach with my dog, Winston, letting him off leash to frolic with other small dogs. After that comes brunch and lazy reading of the New York Times — paper edition. I’ll end the day by attending or hosting a dinner party or exploring a hot new restaurant with friends.